TOKYO -- Honda President Takeo Fukui says tumbling sales are finally bottoming out in North America, but he warns that any significant recovery will take awhile. 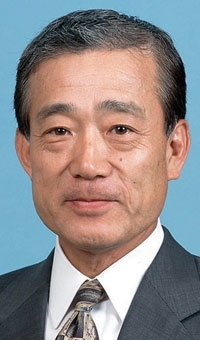 Fukui also says the emergency measures he has undertaken at Honda Motor Co. should keep the automaker in the black for Honda's current fiscal year, which started April 1. "Looking at our biggest market, which would be North America for our automotive business, I think we are seeing signs of bottoming out," Fukui said during an interview on April 3. "At least looking at March, it has stopped declining." Honda is not forecasting a further dip, he said. But a rebound "might take some time." American Honda Motor Co.'s light-vehicle sales dropped 36.3 percent to 88,379 vehicles in March. The decline was just a tad slower than the 38.0 percent tumble a month earlier. Total industry sales also fell at a slower rate last month, suggesting to some analysts that the market storm was weakening. Fukui said the cuts made so far -- including dropping out of Formula One racing, killing the NSX sports car program, postponing plant openings and culling the work force -- should keep the company profitable this year. Honda is the only major Japanese automaker still predicting a profit -- in Honda's case, for the fiscal year that ended March 31. Results will be announced April 28. "We have a worst scenario in place, and based on that scenario, we're thinking it won't entail any more significant cuts," said Fukui, who steps down as president in June. "We think we can still retain a surplus with the budget we have compiled."